Kids can make weird sounds. Every conductor of young bands has discovered this maxim time and again. Why not put those skills to good use? 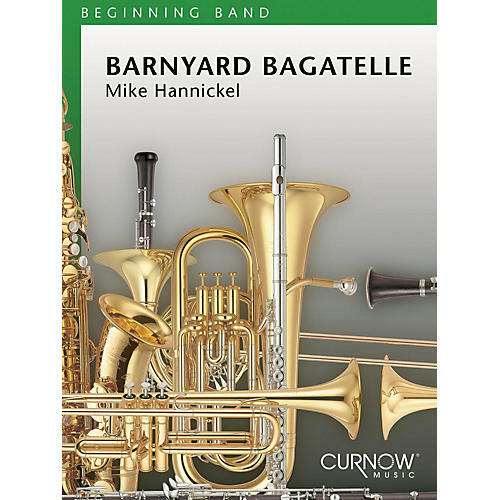 Barnyard Bagatelle mixes well-known barnyard folk songs like Mary Had a Little Lamb, Old MacDonald, The Old Grey Mare, Shoo Fly and more with the animal sound effects your students have studiously perfected over the years. Audition your band for vocal imitations of a Pig, a Big Dog, a yappy Little Dog, a Cow, a clucking Chicken and many more; then have some real musical fun.